It’s too beautiful out to spend much time at the computer. At long last it feels like summer has arrived. One of my dearest friends is getting married this weekend here in Portland and I think her arrival in town has brought out the sun. Margo is also the person for whom I’m making the wedding cake that I may or may not have mentioned here but will get a full post once it’s completed and happily devoured. 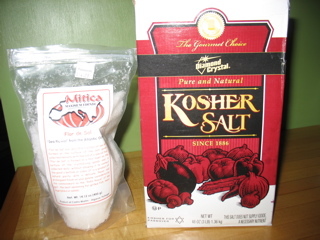 The two salts I use: Diamond Crystal Kosher and a Portuguese "Flor de Sal", a very good sea salt. Now to salt . . . . Much has been written recently about salt and several recent posts on the ever informative Culinate.com have useful links and commentary. Much of this debate was started by a panel appointed by the USDA which is making the case for more stringent crackdown on salt. The key distinction, which many of the current articles make, is that processed food is jam-packed with salt and ever more so. This recent NY Times piece gives you all the dirty details. But I want to refer you to this wonderful piece I also just discovered on Culinate which sums up my salt mantra which I give at the beginning of each of my cooking classes. 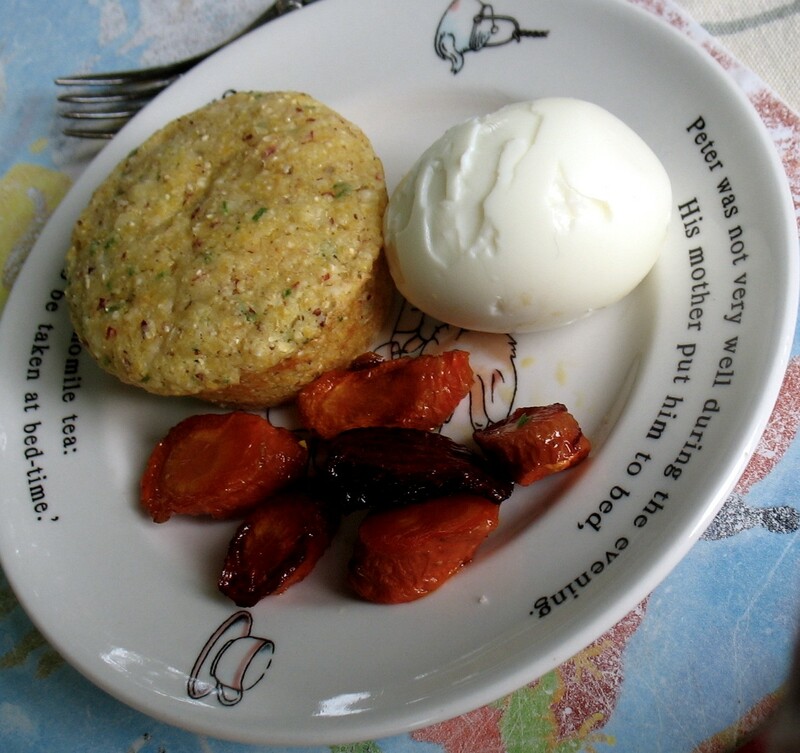 I start my spiel with: “The difference been mediocre food and good food is salt.” It’s not quite that simple but almost, so read the piece and find out and then go out and play in the sun, then come in make a quick salad or soup or frittata with all the beautiful produce we have, salt it well and enjoy! P.S. 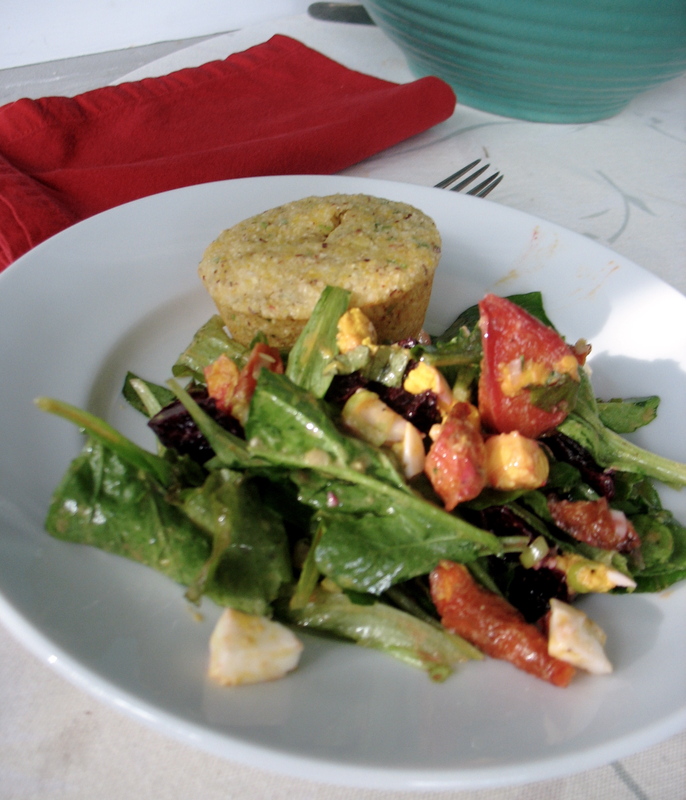 The sea salt I use–for salad dressings, finishing dishes, etc.–is available at Pastaworks. P.P.S. 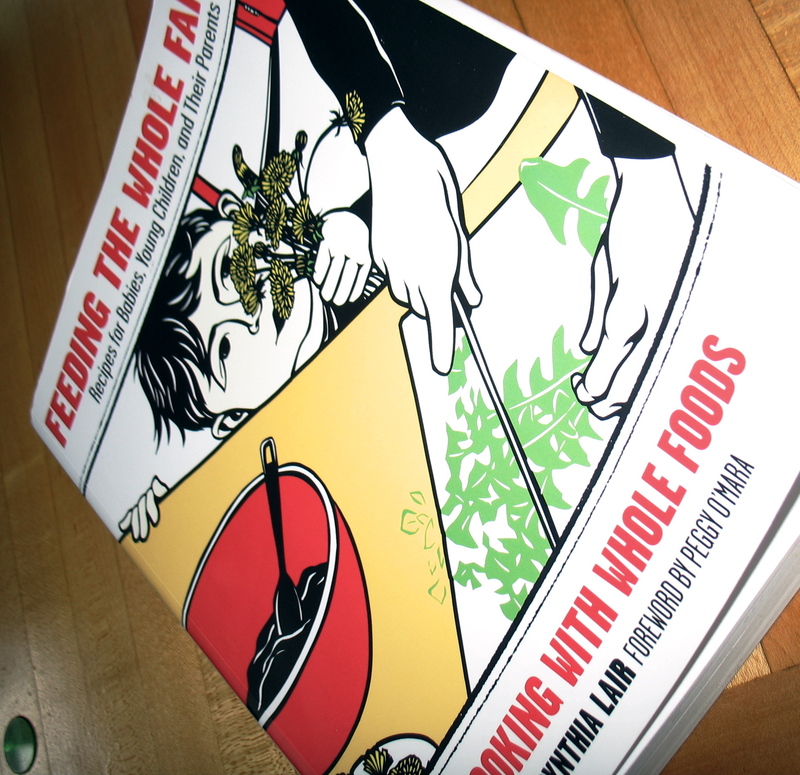 I had two very fun cooking classes this last week and will share a recipe or two from these soon! 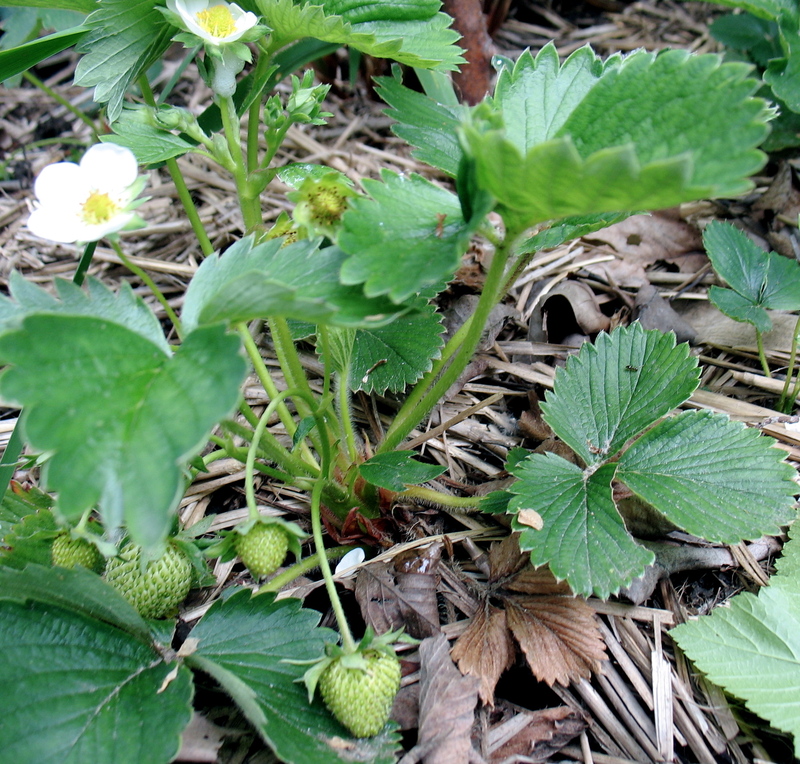 If you can’t wait, some of them are posted on Sauvie Island Organic’s blog. You have to scroll down a bit, but I’m there! I Stared Down the Fridge and I Won! I picked up this phrase from a dear friend and tonight was my night and I did win! I rarely write two blog posts in one week but this one couldn’t wait. 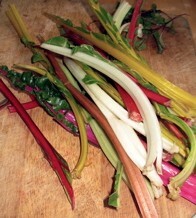 And believe it or not, it all starts with Swiss Chard stems. 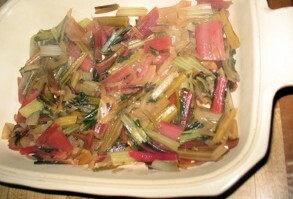 I have used a lot of chard lately, the leafy part that is, which meant I had collected a good pile of stems in the fridge. They keep well and I just kept adding to the bag. So tonight, in need of dinner, what did I find in the fridge? 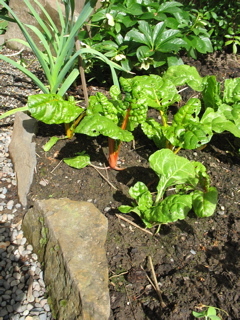 Chard stems (and not much else)! I usually either dice them and add them to soups or sauces but have also made a gratin in the past, so that’s what I set out to do. 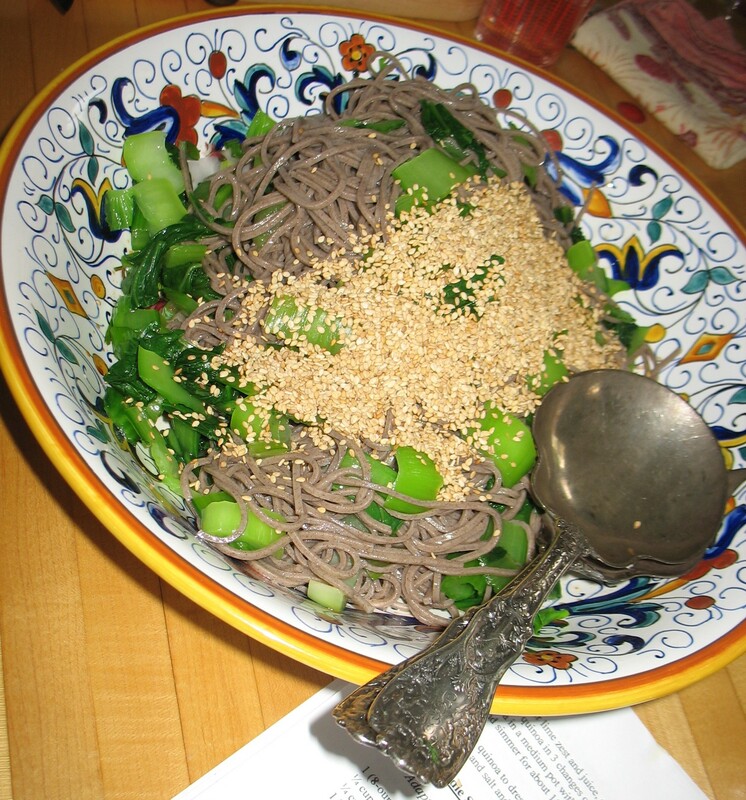 It really needed to serve as the main dish tonight so here’s how it turned into something blogworthy. 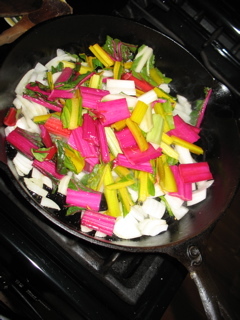 I roughly chopped half an onion and the chard stems and sautéed those in olive oil for a few minutes. Then I added 1/2 cup of water and covered the pan and braised them for about 10 minutes until the stems were tender. Then I made a quick bechamel, but for the first time ever used half milk and half veggie bouillon (yes, I know you’re probably tired of hearing about the stuff but it is transformative). Then I remembered that I had a bag of leftover, sliced baguette in the freezer. So out came that and I nearly killed my food processor but I processed those into uneven, biggish, bread crumbs. Then I toasted those with just a little olive oil over high heat to thaw and crisp up just a bit. Then I added about 1/4 teaspoon of freshly grated nutmeg to the bechamel and grated some sharp cheddar. Oh and I added the liquid left in the chard pan to the bechamel. 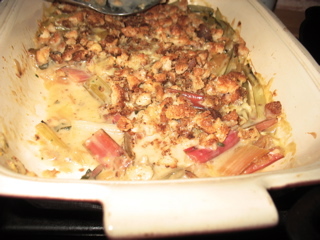 Then I put the chard stems in a casserole dish, covered them with bechamel, then bread crumbs, then cheese. In the oven at 400 for about 20 minutes until nice and bubbly, finish under the broiler and voila! Dinner! It was so much more than the sum of its parts. 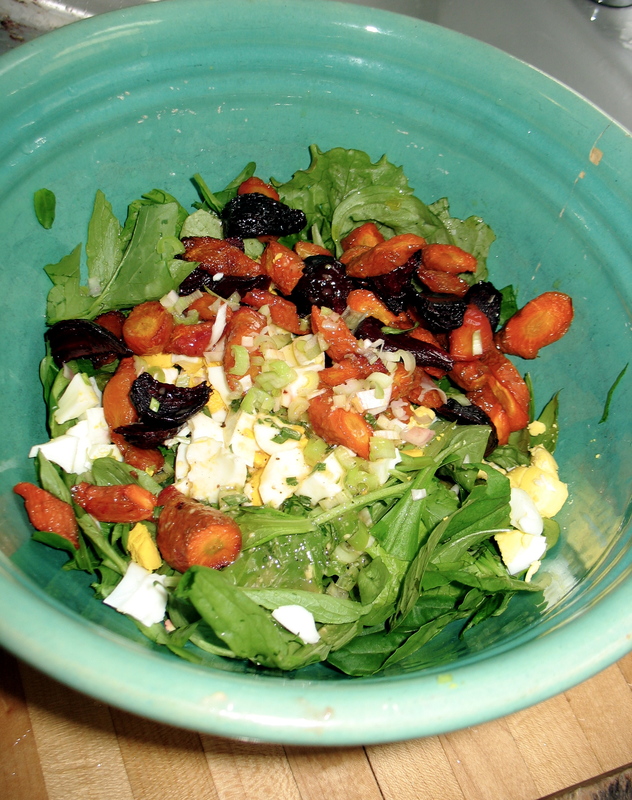 It was delicious–savory, creamy, crunchy, earthy! 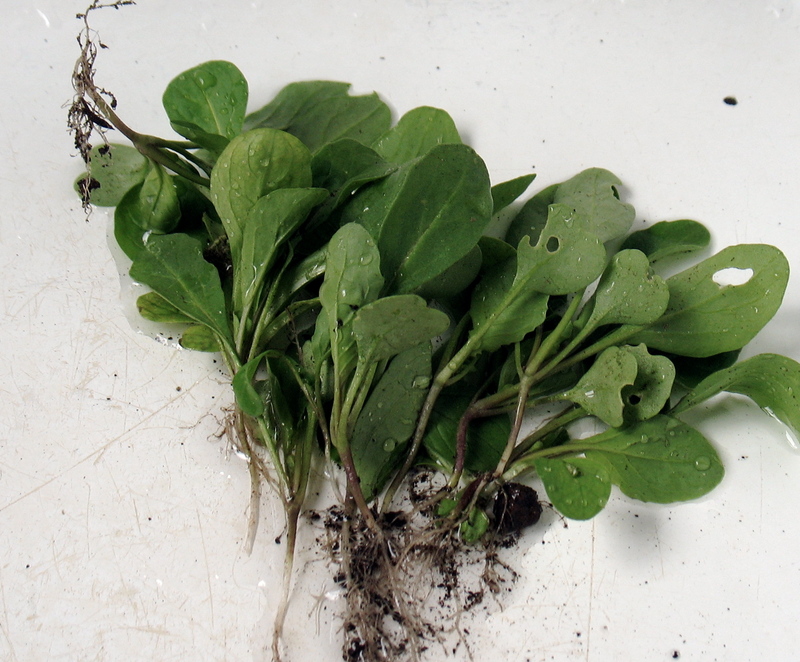 We did have an arugula salad (thanks Elizabeth – my super gardener friend/neighbor) too. Oh and since I’m not writing the recipe out in a formal manner, the bechamel was made as follows: Melt 4 tablespoons of butter in a saucepan, add 4 tablespoons of flour, whisk and cook over medium heat for 2-3 minutes. 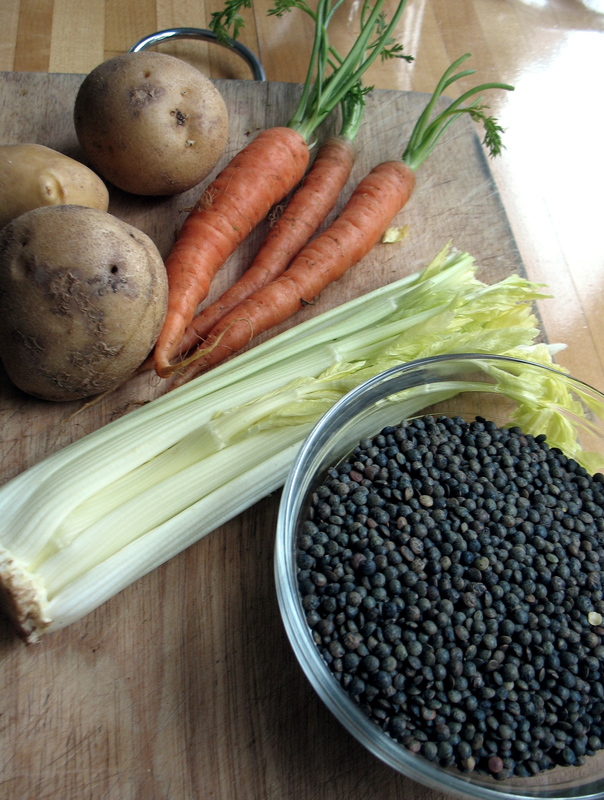 Add 1 cup of milk and 1 cup of veggie bouillon, first heated up together in a separate saucepan or microwave. 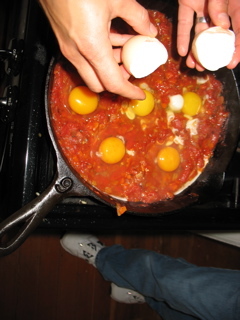 Whisk in the hot liquid and cook over medium heat until thickened, about 7-10 minutes. 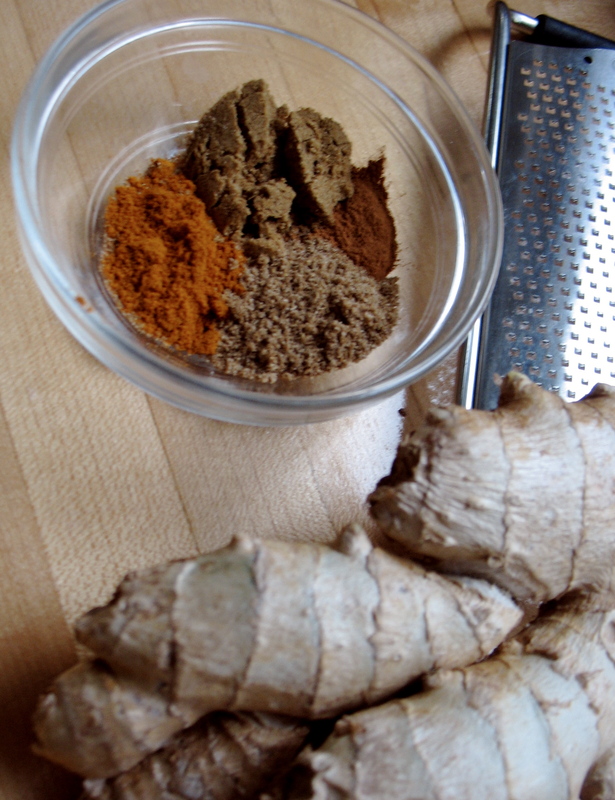 Add nutmeg. I’ve been trying my best to write a blog post this morning. It is Tuesday which means blog post day. 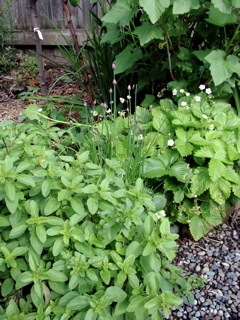 But then I remembered that I needed to check the planting calendar in my go-to gardening book Growing Vegetables West of the Cascades by Steve Solomon and then I thought I’d better see if the spot I had in mind for summer squash was actually big enough. . . I get carried away in my little garden and tend to plant things too close together, forgetting year after year how gigantic squash plants get. 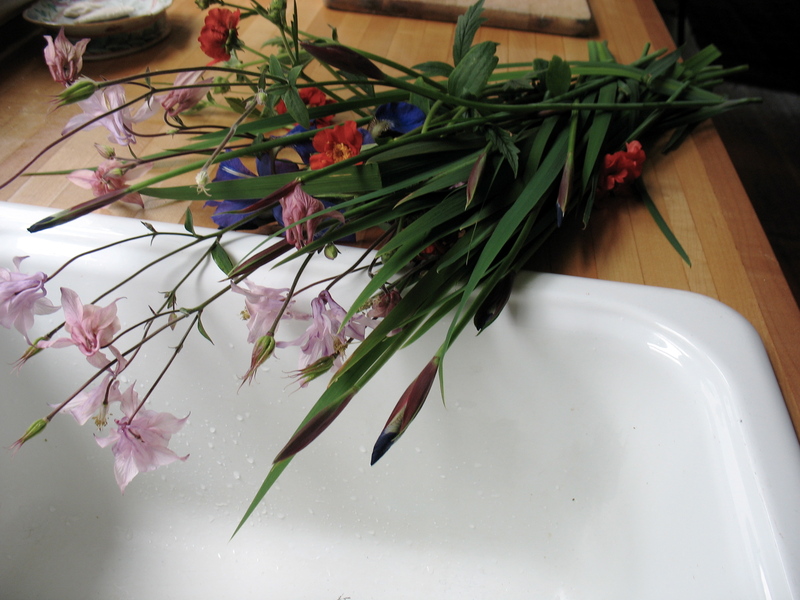 And then I saw some weeds that needed pulling, flowers that needed dead-heading, flowers that would make a lovely bouquet, arugula that needed thinning. . . . An hour later I’m back. Typing away I notice that my hands are starting to look like my mothers’–a little cracked, with dirt embedded in them that no amount of washing will quite remove. As I child I was often given the choice between “indoor chores” and “outdoor chores”. For years I chose indoor, exclusively! I hated the feeling of dirt on my hands, especially as it dried and cracked. I hated pulling weeds. My mother lived in her garden and I just didn’t get it. Now I get it! I just want to be out there, pulling those weeds, sowing beans, digging in the compost, watching the volunteer sunflowers pop up everywhere. I love it! 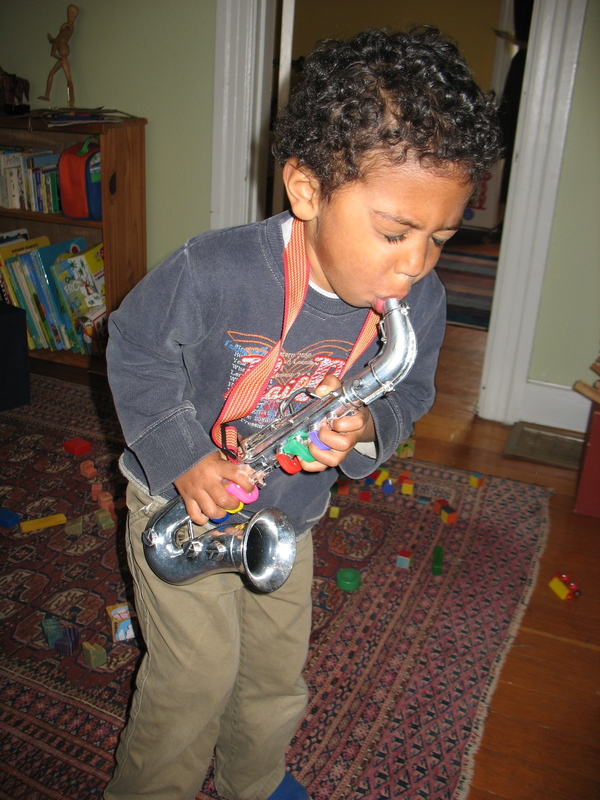 Reflecting on this progression in my life is liberating as a parent when my son shows no interest in things I love or excessive interest in things I don’t. When I asked him yesterday what I should write my blog post about today ( he’s 3), he said: “Chainsaw movies!”. He likes to watch logging videos on youtube (his uncle owns a sawmill, hence the obsession), which is what he means by chainsaw videos. Not that I don’t like chainsaws but they don’t inspire me. Anyway, I’m going to wrap this up so I can get back outside. 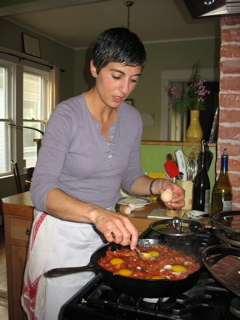 However, I’ll share a recipe for a crisp that I cobbled together (inspired by Heidi Swanson of 101cookbooks yet again) on the fly a few nights ago. 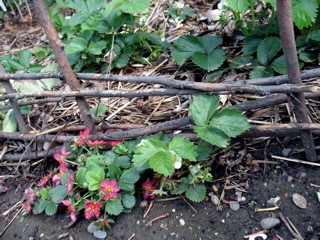 Strawberries for a future crisp! Note: If you don’t have any port don’t worry, but it does add a lovely dimension. Mix sugar and cornstarch in a small bowl, sprinkle over fruit and mix well. Add port, mix again and place in 9 x 12 baking dish. 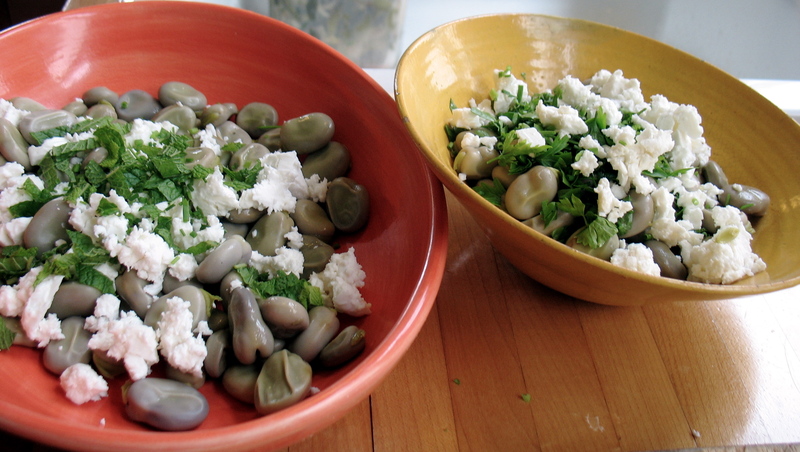 Mix dry ingredients well in medium bowl. Stir melted butter into the dry ingredients and combine well with a spoon or with your fingers. Some dry spots will remain which is fine. Cover fruit with topping and bake until the fruit is bubbling and topping starting to brown, about 45 minutes.